"I just wanted to write you a short note to tell you about how pleased I am with your Program of Scheduled Maintenance. With everything that I am personally responsible for, it is nice to know that I no longer have to worry about my roof." "I have been participating in your PSM program for 2 years now, and I appreciate that you approach me twice a year to make sure my roof is secure. 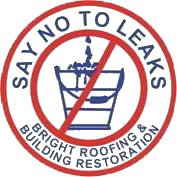 Now I don't have to worry about any big roof leak emergencies because I haven't taken a look at my roof for a long period of time." "As a matter of fact, I like that the 2nd inspection of the year occurs in that short period of time between when the leaves fall off of the trees and the snow hits the ground to stay. I can have the comfort in knowing that there isn't an accumulation of leaves and twigs on my roof that can block the necessary water paths to the gutters and interior drains on my properties." "Also, I know that because of your PSM program, I am saving money in the long-term by having you regularly service my roof." "My compliments to you and your staff on your Program of Scheduled Maintenance. I look forward to many more years of enjoying the luxury of having an out-of-sight-out-of-mind mentality regarding my roof." "It is with professional integrity and honesty that I am writing this letter to introduce you to T.J. Daniels and Bright Roofing, Inc. During the past twenty plus years in real estate management in the Detroit metro area, I have had the opportunity to use Bright Roofing on numerous occasions for roofing inspections, major and minor roofing repairs, commercial and residential building restorations, and complete roof deck and membrane replacement." "Throughout my real estate career here in Michigan I have owned and managed multiple residential properties ranging from single family homes to as many as 2100 apartment units. I have managed industrial facilities, commercial office properties, medical facilities, retail regional centers, and retail power centers." "At my capacity as both an owner and manager, I have found T.J. and his company to be very professional and knowledgeable in all aspects of building restorations from replacement of copper gutters and slate roofing on historic buildings to below grade waterproofing of residential properties. As a qualified and preferred vendor, Bright Roofing has completed major projects like a 10,000 square foot deck and membrane replacement over two weekends to as little as a 2000 square feet shingled roof job. Each and every project receives the same level of attention and is completed thoroughly and accurately." "As many companies today are struggling to stay viable in these current economic times. Bright Roofing is now in its third generation of family operations and has proven to have the strength and foresight to not only succeed during the slow times, but to actually prosper while others are struggling. It is my firm belief that this is due entirely to T.J. Daniels' ability to provide the highest level of attention to detail for complete customer satisfaction." "In closing, I would ask that if you have any questions or concerns about using Bright Roofing on any type of building restoration project, please contact me directly. I will be glad to provide you with more specific information to help in your selection of Bright, Inc. as a preferred and/or qualified contractor in your business." "I would like to sincerely thank you for the great deal of personal effort you and your colleagues expend on MainSource Roof Management (MSRM) customers. Bright Roofing's attention to detail and prompt response to our needs have been demonstrated repeatedly over the past twelve years. Your service crews have done fantastic work and are a pleasure to work with. They have done a great job representing Bright Roofing and MSRM. I can truly say that no job is too small or too big for Bright's personal attention. Please know your hard work is truly appreciated. We look forward to continuing this "outstanding" tradition that you have laid down for many more years."